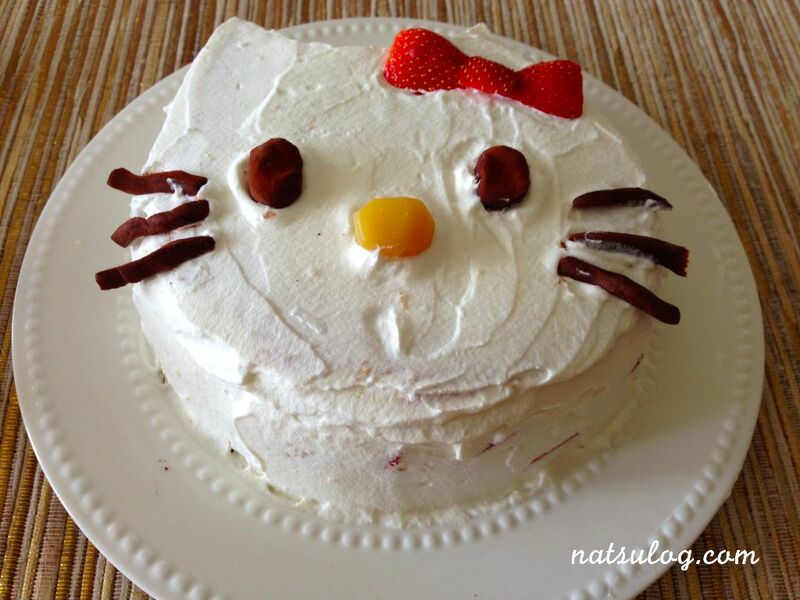 I baked a cake today for my birthday friend 😀 She and her daughter loves Hello Kitty, so I thought to surprise them by making a very cute cake!! 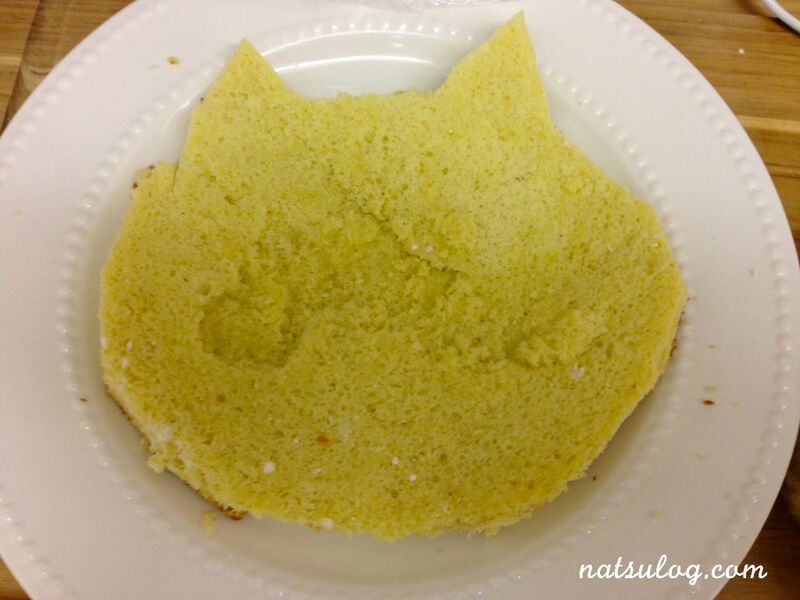 First, bake a sponge cake. You can use whatever recipes you like. 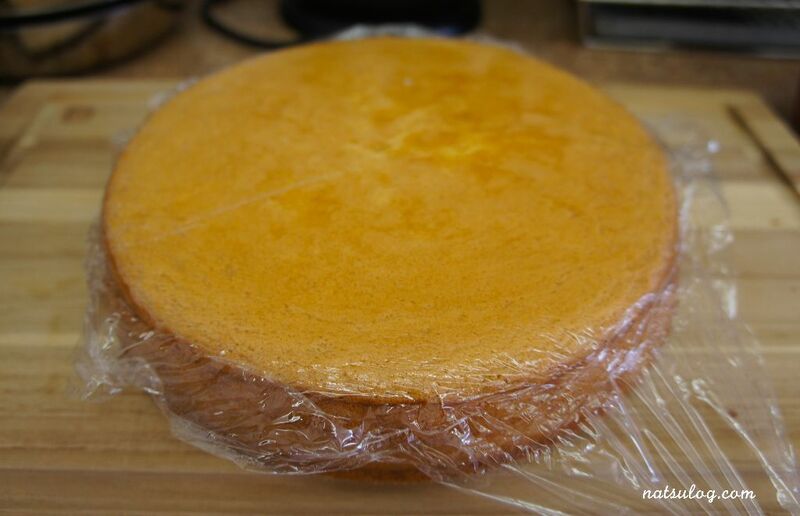 Once the sponge is done, you will wait and let the sponge chilled since it is much easier to cut them when it’s cold. On each layers, spread a whipped cream and put some fruits, and make layers. 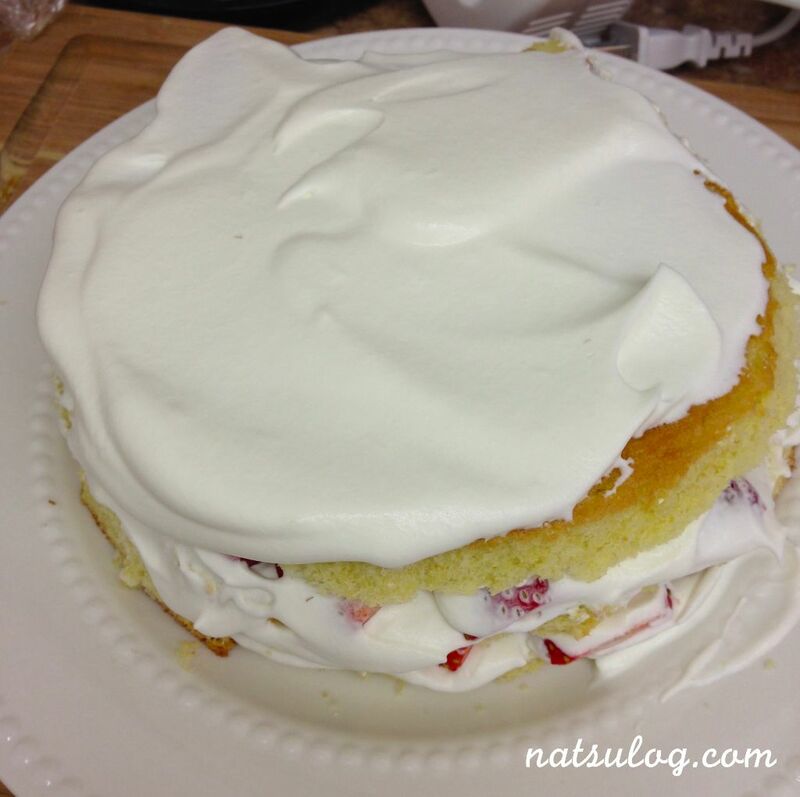 I used lots of sliced strawberries since my friend’s daughter loved them 🙂 You’ll also cover the top and side of the cake nicely with the cream! Now, the most important part is to put eyes, nose, whisks and the bow!! 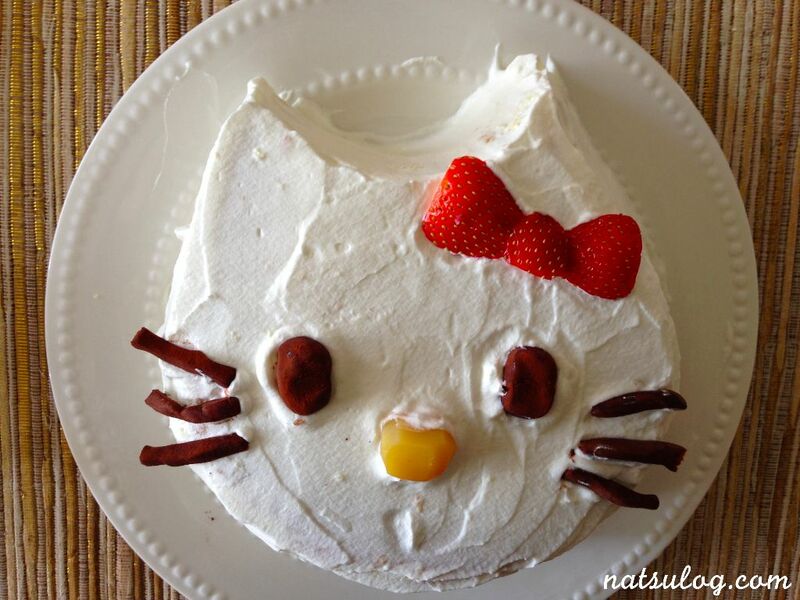 I’ve used sliced strawberries to make a bow. For the eyes and whisks, I used chocolate. (Precisely speaking, I had ganache at home, so I just used them by shaping them nicely by pushing and rolling them.) For the nose, I’ve used a chestnut. 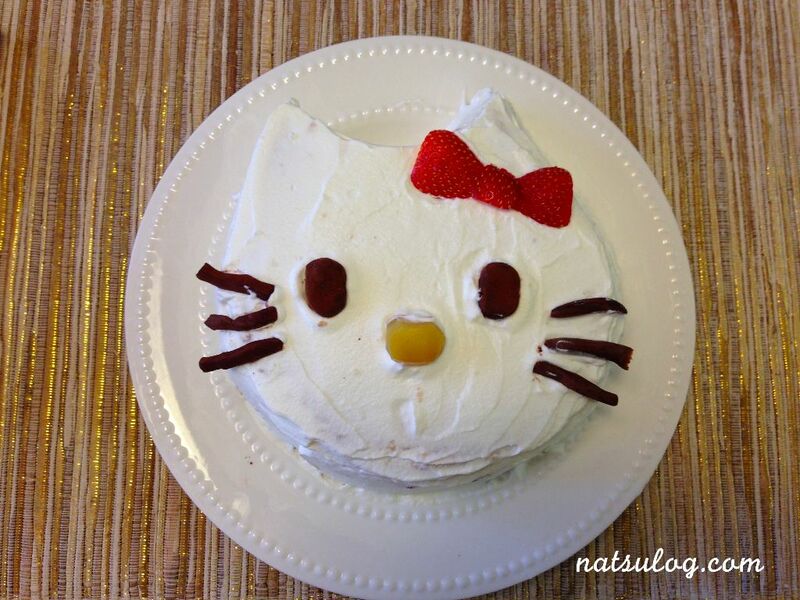 Now, Hello Kitty is ready to be eaten!! !